Signs of spring? Birdsong. Sidewalk patios. Kissing your snow tires goodbye. 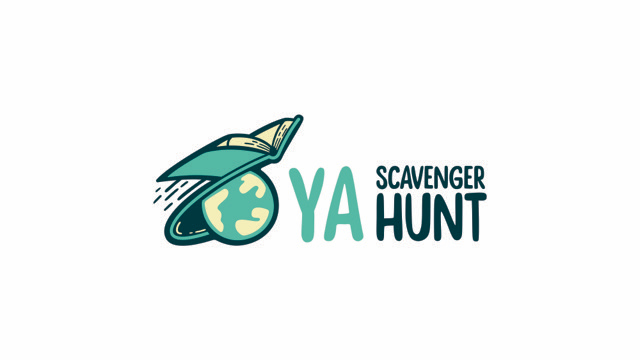 And for booklovers around the world, the semi-annual YA Scavenger Hunt. 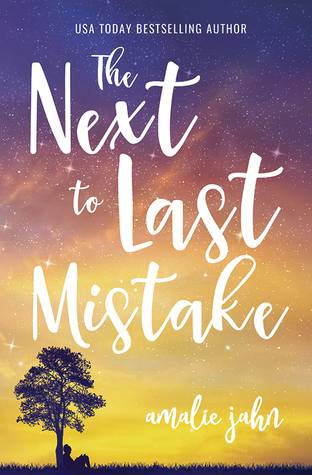 This fabulous feast of book giveaways was first organized by author Colleen Houck and I’m delighted to be participating for the seventh time…and to be on the same team as Colleen. What’s on tap? The chance to win a bunch of books. The chance to read exclusive bonus material you won’t find elsewhere from a great bunch of authors. Colleen and I are on…. One lucky winner will receive one book from each author on my team. There are five contests going on simultaneously, and you can enter one or enter them all. Remember: each different team color means a different stash of books to be won. Below, you’ll notice that I’ve ‘hidden’ my favorite number. 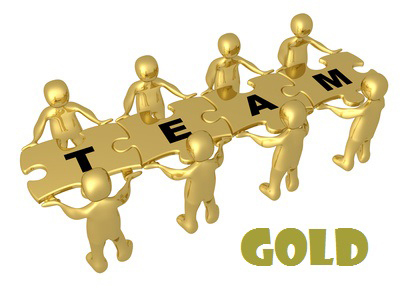 Collect the favorite numbers of all the authors on the gold team, and then add them up. Voila! You’re in the running for a stash of great reads. Rules: Open internationally, anyone below the age of 18 should have a parent or guardian’s permission to enter. To be eligible for the grand prize, you must submit the completed entry form by Sunday, April 7 at noon Pacific Time. Entries sent without the correct number or without contact information will not be considered. 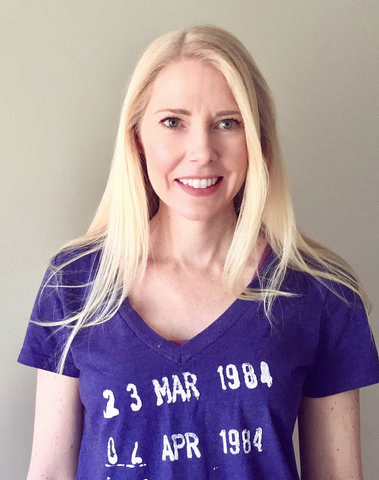 I am so pleased to be hosting Amalie Jahn on my website for the YA Scavenger Hunt – Spring 2019 edition. Want to learn more? Visit Amalie’s website. Mom keeps a throw rug just inside the kitchen door. It’s a threadbare, rainbow-colored nightmare with strips of fabric woven together so the frayed ends collect crumbs and cat hair between vacuumings. She always nagging us to ‘wipe our feet’ and says it’s there to ‘keep the barn out of the house,’ which seems ridiculous to me since our shoes are usually so covered with mud and straw and manure, they never make it past the threshold. Still, the rug remains, but I haven’t actually stepped on it in years. Not since the day I slipped, the rug flying out from under me as I skidded through the door one afternoon back in middle school. I don’t remember why I was in such a hurry, but I remember that feeling of solid ground being jerked out from beneath me. Of having my footing—and then not. Of falling and knowing when I eventually hit the ground, it was going to hurt. Bad. I resist the urge to massage my lower back, recalling the broken tailbone the fall produced. Now, as my dad glances between my little sister Ashley and me from his place at the head of our century-old farmhouse table, I can’t help but feel the exact same way. That I’m weightless, hanging in the space between knowing unavoidable pain is only seconds away and actually hitting the ground. Because it doesn’t make any difference that the rug he’s just pulled out from under me is figurative and not literal. Bones can be repaired. The path of my life? Maybe not so much. As I replay the highlights of this morning’s unprecedented before-school family breakfast in my head—the bits about declining milk prices and increasing debt and how reenlisting in the Army will be a way out for us financially—Dad just sits there in his denim overalls, taking bite after bite of Cheerios, acting as if he hasn’t presented us with an enormous stinking pile of cow crap. He says ‘military kids’ like somehow the official-looking documents splayed before us on the table, emblazoned with the seal of the United States Army have suddenly transformed us from farm kids into something else. Into people who take moving halfway across the country in stride. That the orders requesting that Sergeant Greg Goodwin report for active duty to Fort Bragg, North Carolina in two months somehow have the power to normalize the situation, even when it’s obvious to all of us that nothing about our lives is ever going to be normal again. I open my mouth to protest, but before I can form a coherent argument which might adequately express the depth of my outrage, Ashley beats me to it. Okay. That’s one tactic. I was thinking more along the lines of offering to take a few more paid tutoring jobs in order to help make ends meet, but you do you, Ashley. I brace myself for the inevitable tongue-lashing, but instead of launching immediately into one of his notoriously long-winded diatribes, Dad makes an elaborate show of gently setting down his spoon before raising the cereal bowl to his lips. He slurps the milk slowly, deliberately, as if he’s in no hurry to deal with Ashley’s flippancy. Finally, after returning the bowl to the table and dabbing at his mouth with a paper napkin, he addresses her directly. He says this with such calmness that even my mother noticeably flinches. Until this moment, she’d been padding around the linoleum floor in her house robe and slippers, busying herself with the coffeepot which seemed to need more attention than usual this morning. Her back is still to us, but I can tell by the way her shoulders slouch that she’s no happier about my father’s decision than the rest of us. Knowing this deflates the air from the balloon of hope I’ve been holding aloft. If she wasn’t already able to change his mind about this, Ashley and I don’t stand a chance. But Ashley doesn’t seem to realize this quite yet. Of course, I share her curiosity about why he thinks reenlisting was the wisest choice, but I’m happy to leave the actual confrontation part to Ashley. I swallow hard and Mom freezes, her mug of coffee raised in mid-air, waiting for Dad to blow up at my sister the way he did when she announced she was starting a debate club at school instead of just joining the Future Farmers of America like everyone else. But he doesn’t. Instead, he narrows his eyes at her the same way he does with me when we’re embroiled in a particularly heated game of chess. I recognize the motion. He’s calculating his next move. Too bad Dad just happens to be the Bobby Fischer of household negotiations. Ashley, the poor misguided soul who is and always has been the fiery yin to my composed yang, kicks my shins under the table. Apparently, she’s still under the delusion that we can outmaneuver Dad at his own game, even as he starts for the door. Her eyes are frantic, wordlessly pleading with me to say something more. To fulfill my responsibility as the older sister to get us out of this mess. But I don’t. I can’t. Because for the first time since this bizarre breakfast confessional began, I realize that my dad’s decision to move is not up for discussion. This understanding seeps all the way in, from my head to my gut to my bones, and with it the truth of what scares me most about leaving. And it’s not giving up life on the farm or even auctioning off the herd to the highest bidder. It’s saying goodbye to Zander. The moment this realization reaches my heart, it seizes, rendering me reasonless and without the strength to speak up in our defense. Instead, all the arguments I’d been silently calculating evaporate into thin air like the fog in a corn field on a cool spring morning. We are moving to North Carolina, and I am going to lose my best friend. This awareness presses down on me like the lead x-ray apron doctors laid across my body when I broke my tailbone slipping on that stupid rug. It’s heavy and it blocks the oxygen from my lungs. As I sit there, willing myself to breathe, Ashley continues on without me, abandoning logical reasoning for the only defense left at her disposal. Guilt. “I’m not going, and you can’t make me. I’ll run away first and become homeless and it’ll be all your fault!” She says this defiantly, throwing her spoon across the kitchen. It hits the wall, leaving a splattering of milk less than a foot from where Dad is lacing up his boots, before falling to the floor with a pathetic clank. In the resulting silence, I contemplate the possibility of going with her. Maybe the two of us could just camp out in Zander’s family’s barn until college. I think about the snow in the forecast and decide immediately that getting to stay here would be worth every frostbit night. My daydream is interrupted by Dad whose hands are now balled into fists as the last vestige of diplomacy between us crumbles. “I’m your father and what I say goes. And if I say we’re all moving to Fort Bragg, then we are all moving to Fort Bragg. Is that understood?” He doesn’t take his eyes from Ashley, but I feel the heat of his declaration radiate in my direction as well. We know we’ve been defeated. He’s put our king in check and there are no other moves to make. But this doesn’t stop Ashley from groaning loudly in an elaborate display of insolence as she stands up and shoves her chair backward into the maple cabinet behind her before unapologetically storming out of the kitchen. No one says a word as she stomps up the stairs and down the hall, leaving an exclamation point at the end of her nonverbal tirade with the slam of her bedroom door. “That went well,” Mom sighs, handing Dad his cup of coffee to take out to the barn. As she stands beside him, he wraps his arm around her waist and leans in to rest his chin on the top of her head. I don’t need a degree in psychology to recognize in that small gesture they’re a united front. My mom’s obviously been part of the decision to sell the farm, and although she may not be in full agreement, she’s going to support him, for better or for worse. Just like always. This leaves me to consider my strategy for moving forward, and as I place my empty bowl in the dishwasher and slip wordlessly out of the kitchen to find my backpack for school, I realize that whether I plan an offensive counterattack or a defensive safeguard, neither will adequately prepare me for the many ways my life is about to change. And don’t forget to enter the contest for a chance to win a ton of books! To enter, you need to know that my favorite number is ‘hidden’ in the following excerpt from Young Man with Camera, featuring photographs by the divine David Wyman. 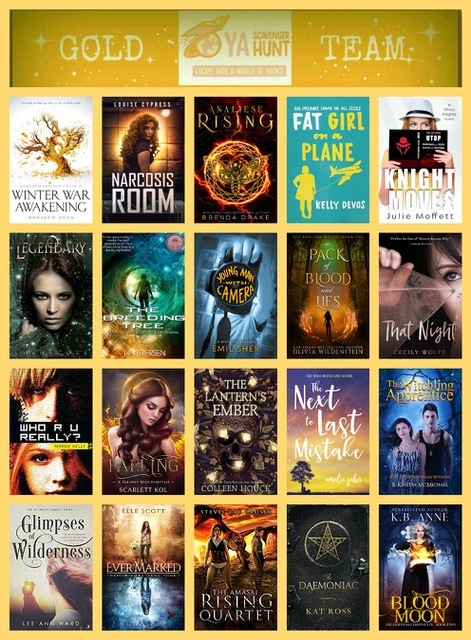 Add up all the favorite numbers of the authors on the gold team and you’ll have what you need to enter for the grand prize. I was knocked over and knocked out by Diane Arbus. I had never seen photographs like hers before. They were pictures of people who all looked weird or had something funny about them. One of the photographs is called Child with Toy Hand Grenade in Central Park, NYC. It’s a picture of a boy standing in a park. He’s wearing these shorts that have straps on them and one of the straps has fallen off his shoulders, but the boy doesn’t look like he notices or cares. The fingers in his left hand are all tense, like a mechanical claw. In his right hand is the toy grenade that the title says he’s holding. The boy has a look on his face like he’s about to explode. Some days I know exactly how he feels. Only I grab my camera instead of a grenade. Ms. Karamath had described Mexican Dwarf in His Hotel Room, NYC.Now I saw it for myself. The dwarf is sitting on a bed. He’s got a big, wide smile that looks even bigger and wider because of this thin mustache that seems like it’s been drawn on with a marker. He’s wearing a hat, the kind of hat that men wore a million years ago when men wore hats to work. He’s leaning against a night table and you can see a bottle of liquor to one side. His head is too big for his body, but his body doesn’t seem to mind. One foot sticks out from beneath a towel that covers him from the waist down. He must have eaten grief at least once a day, because you can’t be a dwarf and not eat grief. But he must have finished his helping of grief long before Diane Arbus took his picture because he looks happy. Way happier than the kid in Central Park. I stared at the photograph of the happy dwarf for about SEVEN weeks, trying to figure out how I felt. My feelings were pinballing all over the place. I was confused. I was jealous. I was hooked. If you ask me, a grief-eating dwarf shouldn’t look that happy. Maybe that’s the “something” in the ‘something there’, which is what Ms. Karamath said when she looked at my photographs — the something you see but can’t explain. I’m still figuring it out myself, but I think it’s about creating opposites within one picture. A lot of dwarfs must overdose on stares, but this one looks like he eats stares for breakfast. Same thing with the kid in Central Park. Grenades are deadly but it’s the kid who looks like a lit fuse. Wait! There’s more! Want to win signed copies of my books? Young Man with Camera, featuring striking photographs by David Wyman. Hana’s Suitcase, the acclaimed stage adaptation of the beloved bestseller by Karen Levine. Away, a picture book told through sticky notes, with wonderful illustrations by Qin Leng. Mittens to Share, a simple story about a lost mitten, gorgeously illustrated by Irene Luxbacher. The Children of Willesden Lane, a memoir of music, love and survival by Mona Golabek and Lee Cohen that I abridged for young readers. 1st prize: Signed copies of three different books of your choice. 2nd prize: Signed copies of two different books of your choice. 3rd prize: Signed copy of one book of your choice. I’ll announce the names of the three winners on my Twitter feed.